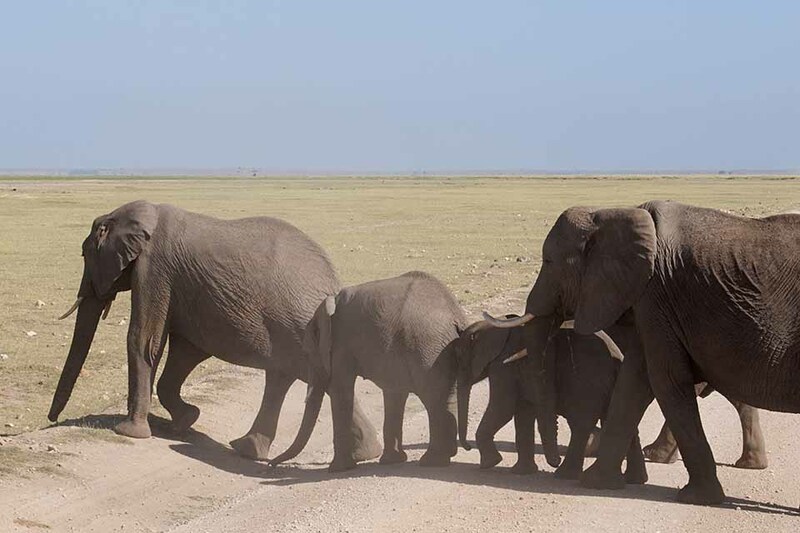 While out on the safari drive in Amboseli National Park, we saw a huge cloud of dust in the distance. 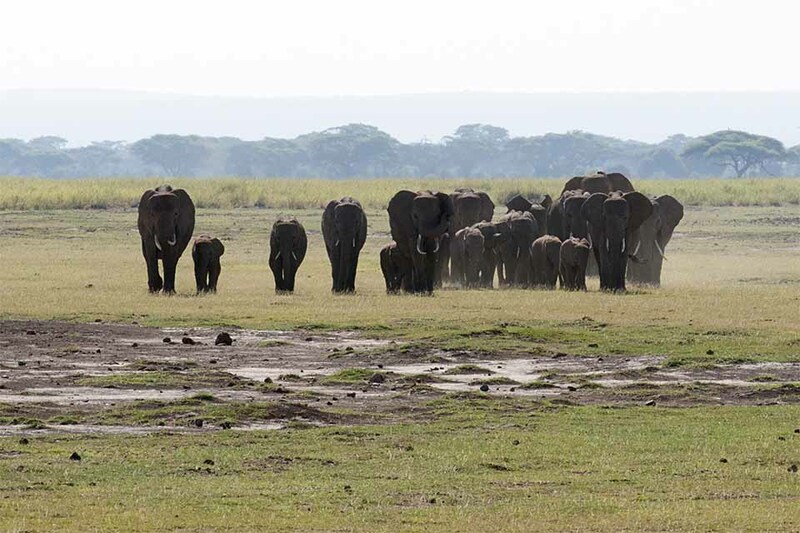 As the animals came closer, it became clear that this was probably the largest herd of African Elephants (as seen in the feature image) that we had seen here. It was also a herd with a huge numbers of young calves. 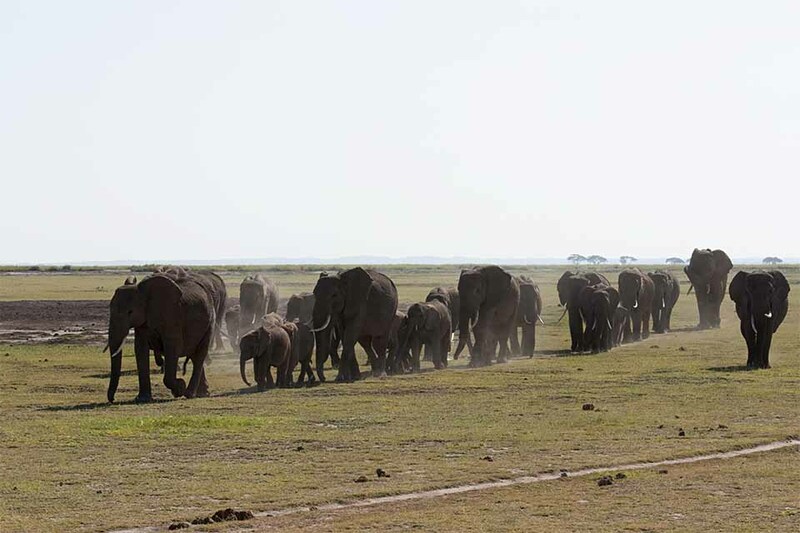 As the herd came closer to the road, we noticed their bodies were coated with a layer of dust indicating that these Elephants had been travelling for a long distance to reach the Amboseli Swamps. 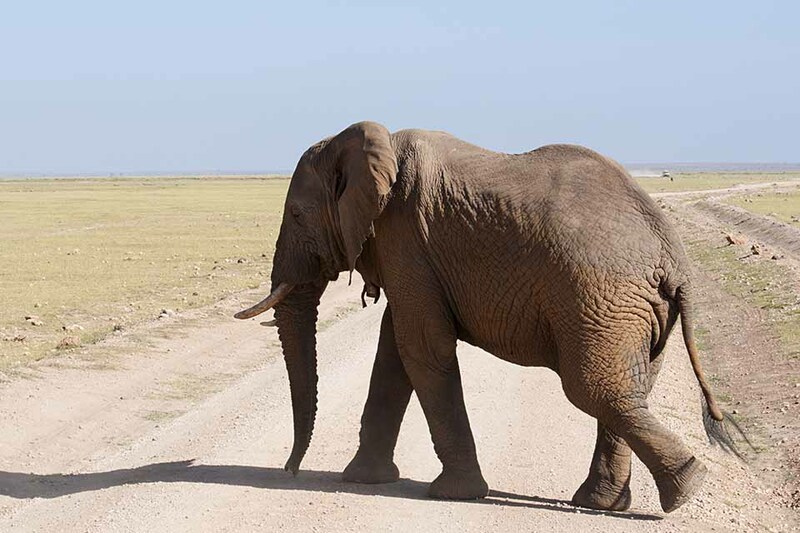 Ours was the only vehicle in the area and the Elephants did not even give us a second glance as they crossed the road in front of us. 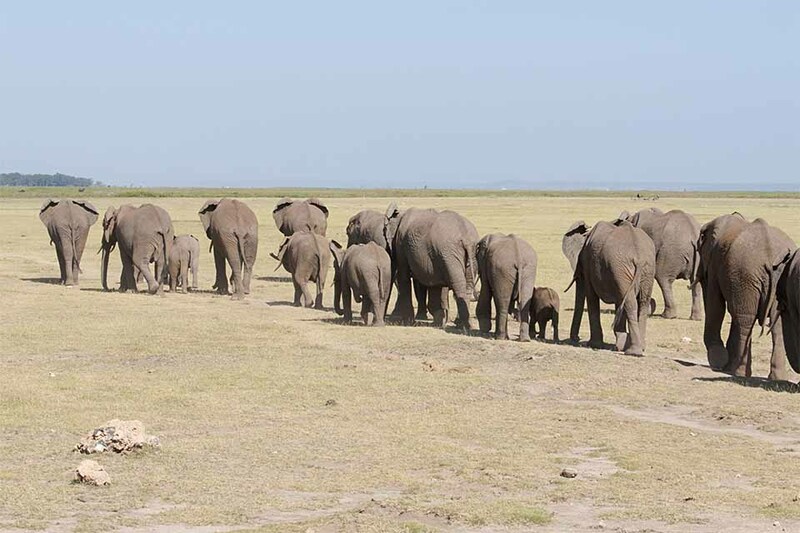 We were wondering why the Matriarch was not leading this herd and our question was quickly answered when we saw her bringing up the rear. 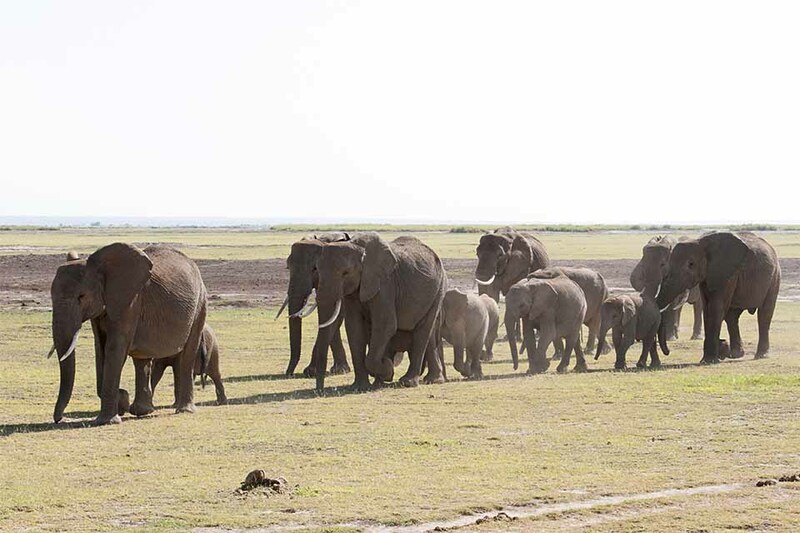 We took this final image as the thirsty Elephants continued their march towards the Swamps.